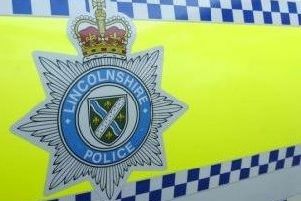 Lincolnshire Police have issued an appeal after a suspicious male was spotted cycling in the Marshchapel area on Friday afternoon (April 12). A Lincolnshire Police spokesman said: “Police are requesting assistance from the public if they were witness to or have CCTV or dash cam footage in the Marshchapel area. “We are looking to identify a suspicious male that was seen cycling around the village on Friday, April 12 - between approximately 1pm and 4pm. “He is described as a white male wearing a grey hoodie (with the hood up), grey jogging bottoms and a black winter hat with a black backpack. • If you saw this man or if you have any information, call 101 quoting incident number 254 of April 12. Alternatively you can email force.control@lincs.pnn.police.uk quoting incident 254 of April 12 in the subject line of your message.